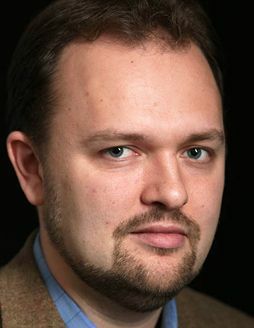 In To Change the Church, his new book, Ross Douthat argues that Pope Francis’ reform efforts threaten to destroy Catholic unity and weaken the West. Below, the New York Times columnist names six of his favorite books on religion. American Grace by Robert Putnam and David Campbell (Simon & Schuster, $20). In their deeply researched sociological portrait of the role religious practice and community plays in American life, Putnam and Campbell put particular focus on major changes since the 1960s. They see religion as a glue for communities rather than a source of division, and they make a strong implicit case that a more secular America will not necessarily be a happier one. An Anxious Age by Joseph Bottum (Image, $25). Bottum’s 2014 book is a literary and ruminative treatment of perhaps the most important American religious development of the past 50 years: the sudden and unexpected collapse of mainline Protestantism—for 200 years our de facto national church. Bottum also examines how other churches have failed to fill the void. American Evangelicalism by Christian Smith (Univ. of Chicago, $28). Though written almost 20 years ago, long before the age of Trump, this book remains the best treatment of evangelicalism’s distinctive position in American life. Smith illuminates how evangelicalism is at once deeply American and intensely countercultural, and how it draws unique strength from its love-hate relationship with its own country. Religion by Leszek Kolakowski (St. Augustine’s, $18). In this small masterpiece, a great Polish philosopher offers a short exploration of the major dilemmas in religious thought: the problem of evil, the tension between mysticism and morality, the question of faith’s compatibility with reason. Written from a perspective friendly to religion but also skeptical and searching, it’s a great introduction to the philosophy of religion. The Everlasting Man by G.K. Chesterton (Dover, $11). Chesterton’s somewhat loosey-goosey outline of history doubles as the best modern argument for Christianity I’ve ever read. You have to give in to the Chestertonian style, but if you do, be careful—you might just be converted. Four Quartets by T.S. Eliot (Harvest, $10). This is a poetic counterpart to Chesterton’s prose. Eliot’s verse makes no argument, but distills the religious impulse and his own Christian hope to eloquent perfection.